Entertainment Law in the San Diego region has been synonymous with Mirowski & Associates for over two decades. Professionals know business in the entertainment industry is as complex as it is treacherous. Only the naïve rely upon a “handshake deal.” Those who fail to have the law and solid contracts on their side soon discover the meaning of chaos when lawsuits are filed and productions are never completed. A business in chaos seldom reaps a profit. When entertainment professionals are ready to get down to the business of making money, they know they need experienced and professional representation. Mirowski & Associates provides legal representation to all facets of the Entertainment Industry in San Diego, La Jolla, Del Mar, El Cajon, La Mesa, Chula Vista and throughout Southern California including music labels, record companies, musicians, composers, lyricists, managers, producers, film, television & multimedia companies, stage & theater, performers, models, artists, authors, writers, and entertainment industry professionals. We specialize in negotiating and drafting entertainment industry contracts, licenses, record deals, works made for hire, publishing, mechanizing, sports and endorsement contracts and protecting entertainment industry intellectual property including, copyrights, trademarks, unfair competition and moral rights. 1. Have your contracts drafted by an entertainment attorney! 2. Have your contracts reviewed by an entertainment attorney! 3. Understand what the contract says and means. If you are not sure, ask your entertainment attorney! 4. Do not be “penny-wise and pound foolish.” Talk to your entertainment attorney before you enter into any music industry contract. Do not assume you can “fix it later.” The worst meetings I have with potential clients are the ones in which they show up and say, “I’ve already signed this contract – how do I get out of it?” The answer often is “Your hard luck story and we will start with a $20,000 litigation retainer !” If you do not understand the reason for contracts, please read our Contracts Primer. 5. Do not accept “memo deals” or short contracts which say that the“full” contract will be prepared later. If it is not the full contract – do not sign it. Otherwise, you have half a contract which usually means, you will end up in court litigating over what the full contract really would have said! 6. Do not EVER rely upon verbal contracts. If you do not understand why, see our Contracts Primer section. 7. If you do not treat your music as a BUSINESS – do not be surprised when you do not make any money! Hobbies do not produce income. 8. Protect your work with registered copyrights – or kiss it goodbye! 9. Protect your trademarks with a U.S. registration – or kiss it goodbye! 10. It does not matter that they are friends, if you are in business – make them sign a contract! 11. I know this is eleven but it is not a rule – it is a lesson. If you ignored any of the foregoing – do not whine when you discover you have been cheated. You have no one to blame but yourself! There is a basic rule of trademarks that the first in time (to use a mark) is the first in right. Try to make sure that no one else is already using your band name (trademark) for two very good reasons: (1) If someone else is using the band name – they may be able to force you to stop using it after you have invested a great deal of money and time in promoting your band and (2) Even if you are in the right – lawsuits are very expensive and should be avoided. You probably can start with a search of the internet. You might contact BMI and ASCAP who may conduct a search of their rosters for similar names. You may also check Phonolog, which is a list of albums and can be found at many record stores. Also, check out the annual Billboard International Talent & Touring Directory. Finally, it is very advisable to conduct a search of state and federal trademarks. For a fee, you can have trademark search agencies do a thorough search of trademark registrations, both state and federal, and numerous other resources such as trade journals and telephone directories etc. Why register a trademark? Well, there are numerous reasons to register a trademark and you should speak to this office about those reasons but to summarize – it is the most effective way to protect your trademark. The registration gives you the big guns – well worth the price. A federal trademark gives you rights throughout the entire United States. If your music is distributed throughout the United States or you do extensive touring, you may want to obtain a federal trademark. If you cannot afford a federal registration (and we have to advise you that this is a big mistake) then you should consider at least obtaining a state registration. State registration fees vary from state to state and give you protection throughout the state in which you register. Use the trademark symbols. The “™” gives notice to the viewer that you claim ownership of an unregistered trademark. The “®” can only be used if you have a federally registered trademark. By using the “® ” symbol, you put everyone on notice that you own the trademark and anyone using it would be a willful infringer. Now that you have a trademark, show it off! 1. MANAGEMENT, GOALS & EXPECTATIONS. Too often, the issue of how decisions will be made remains obscure. It is better to decide before someone’s toes get stepped on! Band members should discuss and agree on the bottom line of their goals and priorities and how to resolve conflicts. 2. WHO IS IN CHARGE? Someone has to solicit gigs, negotiate, deal with equipment, rentals and transportation. Are these duties assigned evenly or should a member who assumes the majority of these duties be compensated for the additional responsibilities and time? 3. CONTRACTS. Each member of a “partnership” may create contracts, and incur debts on behalf of each member of the partnership. Many partnership members have found that they are required to pay bills, perform contracts and be responsible for obligations, which were incurred without their permission. Ignorance of this fact will NOT protect the innocent persons. 4. WHO OWNS THE BAND’S NAME? Pink Floyd spent years in court over this issue. A band’s agreement should discuss who would own the name upon full or partial break-up. In addition, the band should discuss how the group will protect the band name by trademark or otherwise. 5. PROFITS & EXPENSES. What are proper group expenses? What are not? Who can buy equipment for the group? How will profits be used and what are “profits.” Because the Rolling Stones songs were written collectively in rehearsals, they invented a fictitious writer called “Nanker Phelge” who appeared as a composer on the records. Behind this name was a partnership agreement dividing the money earned equally among all members of the group. A band must decide what money belongs to the GROUP and how this is to be distributed! 6. TAXES! All partnerships must pay taxes and file tax returns. Failure to assign responsibility often results in severe penalties or one individual being “stuck with the bill.” For example, if one band member collects and distributes the pay from the gigs personally, businesses will often issue the legally required form 1099 to that individual rather than the “partnership.” The IRS will presume that the PERSON named on the 1099 received all the money as income and tax that person for the full amount. This can be quite a shock. The bottom line is that an ounce of prevention can save you many pounds of legal cure in the future. If you have any questions or if you or your band needs an attorney for any reason, call Mirowski & Associates. Not all attorneys are alike. Certain areas such as the entertainment industry require knowledge and experience particular to that field. If you work in music, film, television / video, multimedia, theatre, modeling or any of the arts, you want a knowledgeable and experienced entertainment attorney. Entertainment attorneys perform a variety of services including providing counsel and advice on legal and business matters, negotiating entertainment deals and drafting legal documents, protecting your intellectual property and litigating disputes in court. An experienced entertainment attorney knows not only the relevant law, but also the customs of the industry and the value of the client’s products and services. When Do You Need an Entertainment Attorney? Quite simply, you need an Entertainment Attorney when you start treating your career in the Entertainment Industry as a business rather than a hobby. Business in the entertainment industry is as complex as it is treacherous. Only the naïve rely upon a “handshake deal” and those who do soon discover the meaning of chaos and bankruptcy. Poorly planned contracts and relationships are the fodder for lawsuits and failed productions. Chaos in business seldom reaps a profit. 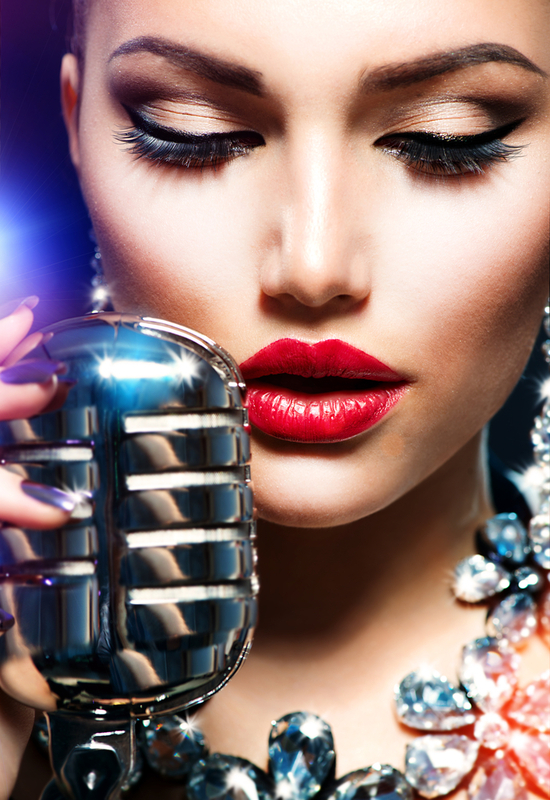 When entertainment professionals are ready to get down to the business of making money, they know they need the experience and professional representation of Mirowski & Associates. Don’t Wait Until Trouble is at Your Door: The first rule of good business is that you DO NOT want to meet your attorney for the first time after you have been sued. Your relationship should begin when you first start to conduct serious business. The best use of an attorney is to avoid litigation. Contracts Proposed: Once you begin to negotiate, or are asked to sign, any agreement, make sure you understand what it means. If you do not understand that “legal” language, its time to ask a professional. Educate Yourself: Part of your relationship with an attorney should be to educate you. The more you know about the standards and customs in the industry and the more experience you have, the more likely you will know what issues you can handle yourself and what issues demand an attorney’s attention. Protect Creative Works: In the entertainment fields, often your creative work or intellectual property (“IP”) is your meal ticket. Do not be naive – people steal IP all the time. Whenever you have completed an original work, in any format (music / art / writing / film / video / multimedia), learn how to protect it. Forming Business Associations: Whenever you begin ANY business association (Partnership / Band / Joint Venture / Corporation / Investor), it is time to consult an attorney. Poorly made business associations are dangerous. Infringement: Whenever you consider using another’s creative work in your production or you come to believe that someone has used your protected work or trademark without your authorization, you need to find out what are your rights.